Today we'll be sharing a card from Becky! It's using the Vintage T Collection that I used in my layout and that Lauren used in her card! Let's see what Becky does with the same collection! To make this easel card I started with a piece of cardstock cut to 4" x 8" and scored at 2" and 4". I folded at the 4" score and folded the 2" score to create the easel. 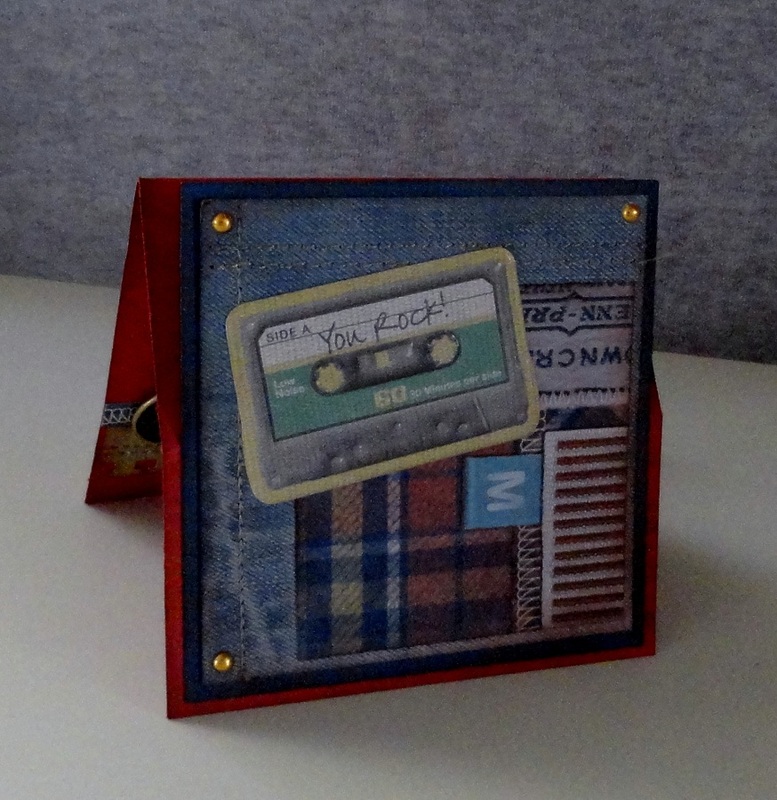 I attached a 3 3/4" x 3 3/4" square to create the top of the card. 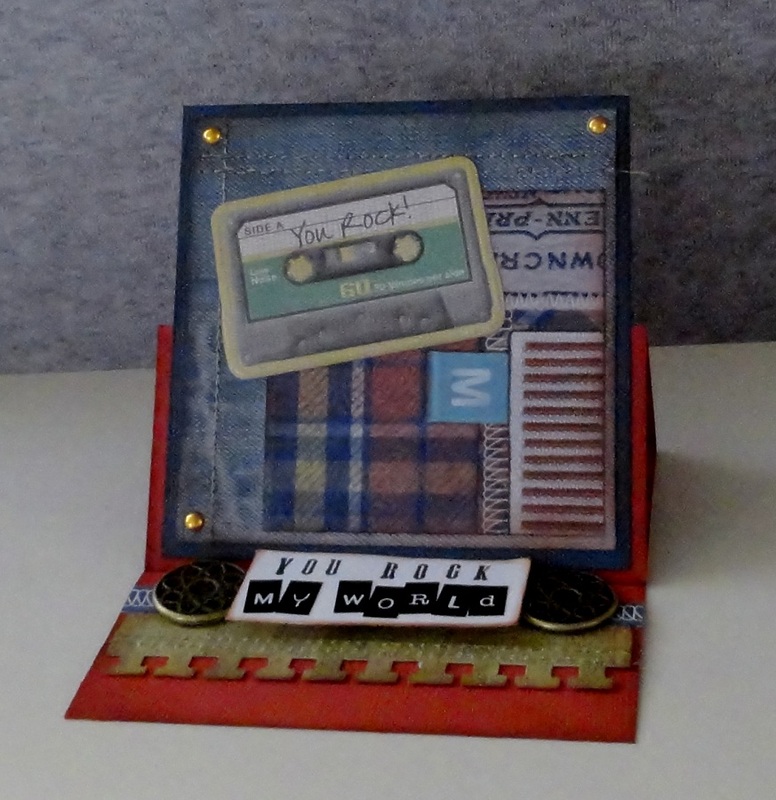 I used the brads and popped up the sentiment so that the card would have something to hold it up. 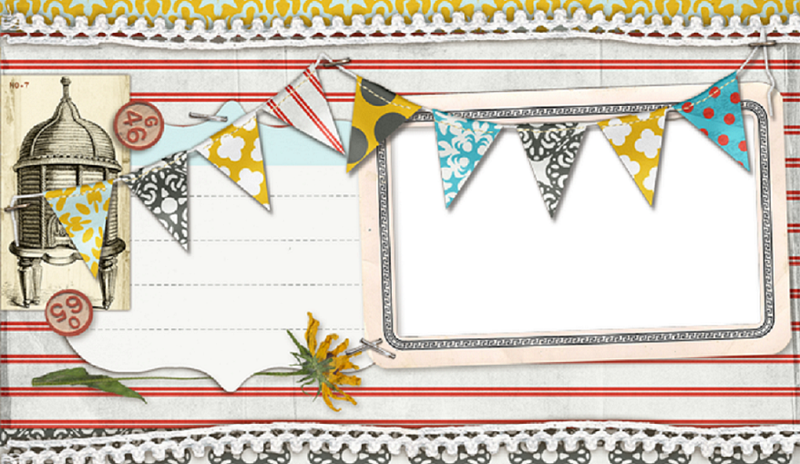 You can also use buttons, ribbon, twine, or anything that will create an easel. Thanks, Becky! A great Easel Card - especially since the inside of the card, which turns into the easel, is decorated! It is such a nice, finished card!